Based on an award-winning story by writer Rich Dent, 'Myopia' merges speculative fiction and steampunk into a thrilling alternative reality. Armed with a special set of lenses that make him almost invisible inside the Central Lens Network, James Chase sets out on a mission to stop the new world order's violation of the Magnetic Energy Agreement. At first sold as a device to make life more convenient, the lens now works as a tool for the government to hide the devastation unleashed from excessive mining of the earth's core. 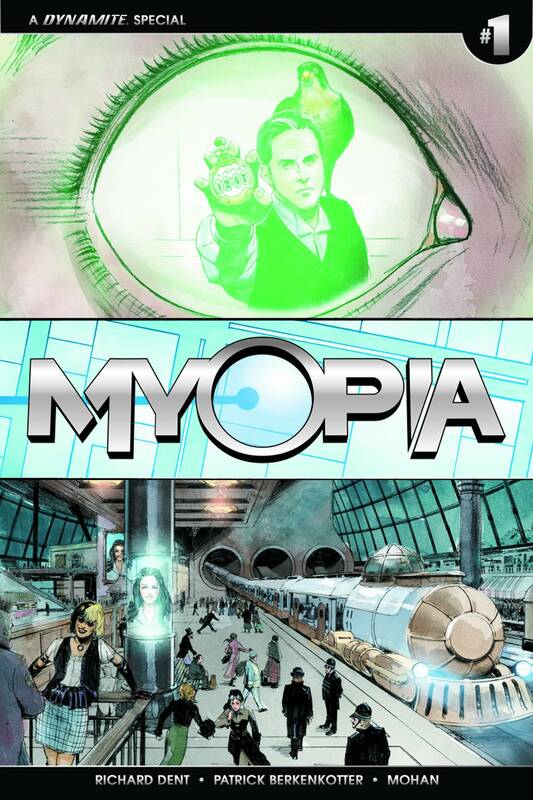 Myopia migrated over from a successful Kickstarter supported by George R.R. Martin, Neil Gaiman, Margaret Atwood, Dean Koontz, and Jim Butcher. Don't miss this debut issue!